A thing with red horns and a penchant for badness put sugar into drinks, we took it out. So no more belly wobbles, holes in teeth, sugar rushes, preservative inducing brain freezes, just healthy drinks that as satisfying as getting your hands on 5 yards of bubble wrap. Designed to help you reach your dieting goals, Lean & Green is a powerful blend of L-carnitine, vitamins and mate tea with elderflower and green apple juice. With just 35 calories per bottle. Lean & Green is the perfect tonic. 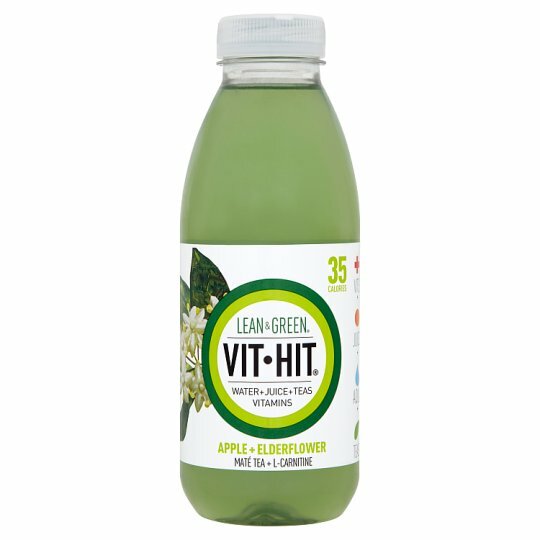 VitHit the low calorie vitamin drink. Keep cool & out of direct sunlight. Once opened keep refrigerated and consume within 3 days and by date shown., See neck for best before details.